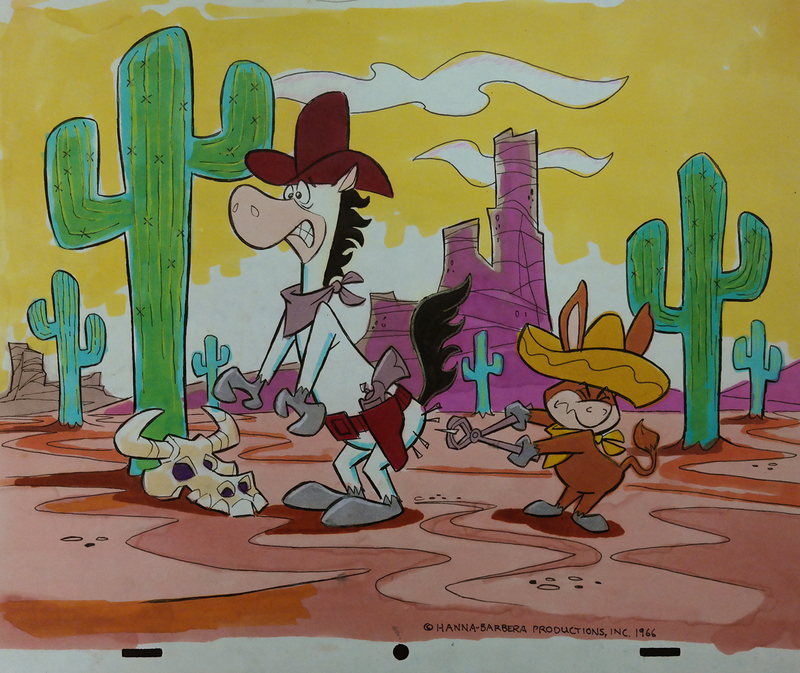 This is an incredible original color concept done in 1966 featuring Quick Draw McGraw and Baba Looey from The Quick Draw McGraw Show (1959). This artwork was probably done for publicity of the show in the mid-sixties or used as presentation artwork to the networks. Artwork such as this is extremely rare. The image measures 10" x 12.5".